Today marks the start of San Diego's Comic Con International 2018, and I got my hands on the new Spider-Man game by Insomniac Games. After waiting in line for what felt like an eternity (but was really only 20 minutes), I was next. When the booth attendant raised his hand indicating a spot had opened, I rushed forward with excitement. I nearly stumbled over the other eager Spider-Fans before I made it to my spot. Placing down my swag bag and picking up the controller happened in the blink of an eye. The next thing I saw was the "Press X to Play" title screen. As soon as I pressed X, I was thrown into the game. 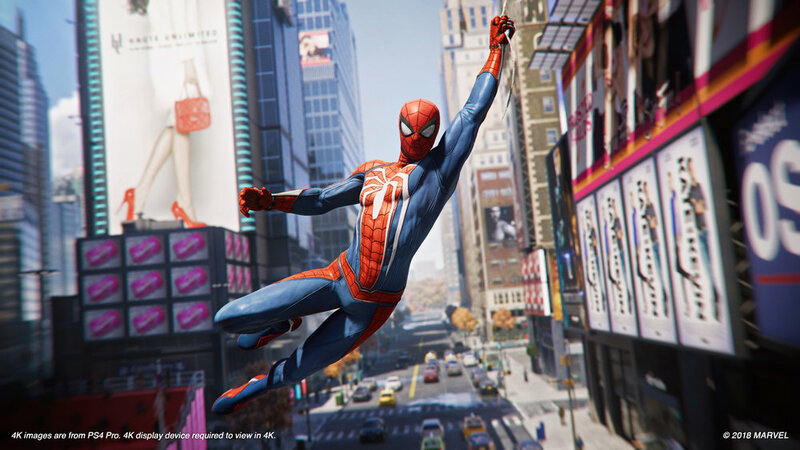 Spider-Man had jumped down from where he was perched, and title screen seamlessly transitioned into gameplay. Before I knew it, I was hurdling towards the New York City streets. A prompt had appeared instructing me how to web swing, and before I knew it, I was on my way to fight crime. Let me tell you, Web Swinging in this game is amazing. It's fast, and doesn't feel clunky at all. Each web connects one after the other. At the height of a swing, you can jump to gain speed. If you're at the top of a building, you can sling a web to the nearest surface to pull you forward. Even on the ground, movement feels right. Although, I'm not sure why you would choose to run when you can be swinging from building to building. Which is why I decided to run up the side of one before I started swinging again. This led to a bit of trouble. When I first ran up the building, I felt as though Spider-Man was locked into a sprinting motion. The controls felt a little janky, and when I moved to the left or right, Spider-Man just kind of... strafed into position. It felt like I was playing Temple Run: Spider-Man Edition. I wasn't able to sling my way to the top of the building while sprinting, either. Unless it was a glitch, the option just wasn't presented. Perhaps it was just me. To be fair, I don't see this being too much of an issue since most of us will be swinging from point to point. Not long after my first web swing, I was given a mission to investigate a nearby rooftop. Word was that Walter Fisk was operating from prison, and I needed to check out the scene.Upon arrival, I noticed a group of armed men patrolling the roof. Without hesitation, I jumped on the first bad guy I saw. Combat was fluid. Much more than I was expecting. I was throwing punches, kicks, and webs with ease. An indicator appears around Spider-Man's head when his Spider-Sense is activated. This means that an enemy is about to attack. However, coupled with the Spider-Sense, you are given ample time to defend by dodging the attack when the indicator appears. Using this system, I was easily able to make myself a hard target for the enemies. You are also equipped with a tool belt that allows you to switch gadgets at the press of a button. Only 3 different gadgets were present in this demo, but I did notice that there were 8 gadget slots. For use in this demo, I had the regular web shooters, a web bomb, and a trip mine. Each were assigned to the R1 button to be used during combat. After defeating the enemies on the rooftop, I was presented with another mission. This time it was a little different. A van carrying a bomb was in a dangerous high speed chase with the police. I quickly made my way to the van, and landed on top. This is where things got a little wonky. I had no idea I was in a quick time event. Spider-Man just sat motionless on top of the van as we were speeding through the streets. Once I moved the joystick, he jumped to the side of the van, where one of the enemies stuck his head outside the van. That's when I realized it was a quick time event. The square button appeared on the screen, and when I pressed it, Spider-Man yanked the enemy out of the van, and jumped back on top. After doing that same thing once more for the other side of the van, I jumped to the front to take out the driver. The van slowed to a stop, and I ran around to the back where the bomb was. I pulled it out, and tossed it in the air for it to explode without injuring anyone. After learning most of the mechanics for the game, I was informed that Electro had escaped prison, and was in the process of robbing a bank. Once I arrived, a short cinematic played. Spider-Man confronted Electro with his classic sarcastic attitude. Then the fight began. Using everything I had learned, and without spoiling the game, I defeated the three stage boss fight against Electro. New York City is safe once more... for now. Overall, the demo was extremely enjoyable. I was able to overlook the few hiccups I had encountered with wall running, and quick time events, because of every other aspect. To me, those were just small bumps in the road. The game looks gorgeous, and the map looks massive. I was only able to explore a small portion of the city, but from the looks of it, there will be so much to do. 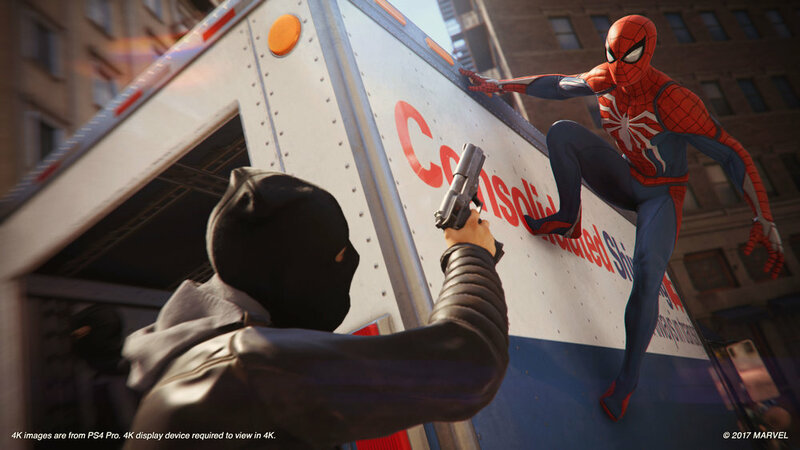 Spider-Man will release exclusively on the PS4 on September 7th. If you love Spider-Man, let us know all about it in the comments below! Dragonball Super: Broly coming this January!